The Atari Jaguar was a console which I yearned for. It was something to do with those 64 bits. All that power. It seemed mind blowing. I was sitting around with my Commodore 64, an 8 bit machine and my Sega Mega drive, a 16 bit console. 32 bit machines like the 3DO had just been released, but yet here, Atari were launching a 64 BIT machine! How in the hell of all that’s good was this even possible? My tiny mind couldn’t really comprehend it, and so this just led to a need for the unrelenting POWER. I didn’t even know how bits related to the machine’s capabilities… I mean, I knew they stored information, but I didn’t comprehend that it related to how quickly that data could be squeezed into the central processing unit. In actual fact the Jaguar didn’t have a 64 bit processor, it had two 32 bit processors, one one those being a digital signal processor, so in reality it was clever marketing by Atari. But that clever marketing still didn’t really translate into high sales. The complicated architecture of those two processors being one of the shackles the machine faced. Developers just couldn’t get stuck into the machine as much as they’d like, so many games were just “lazy” 16 bit ports. I mean there were good games… really good games, like Alien vs Predator and Tempest 2000. Alien vs Predator was the one game I witnessed on Bad Influence which blew me away, and combined with those 64 BITS it really made me need this machine. It’s just a shame I had to wait 20 years to get hold of one. 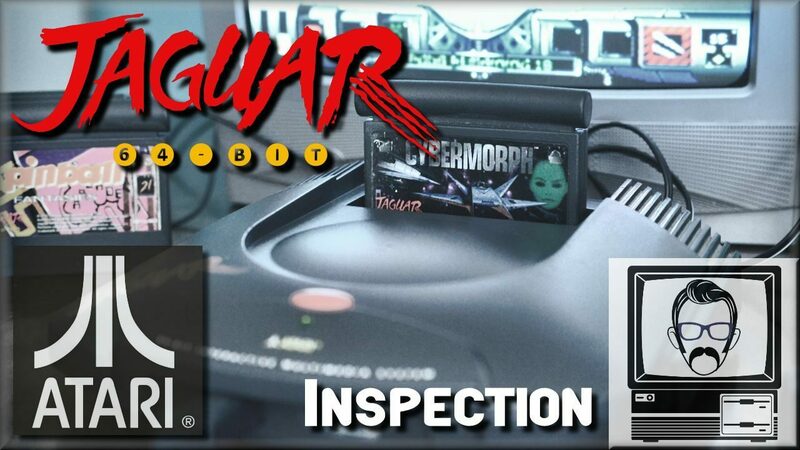 So join me, as I inspect the Atari Jaguar in this very video.